Want a floral crochet pattern that reminds you of walking in a spring garden? If so, check out this Floral Motif Afghan Baby Blanket Free Crochet Pattern. The pattern is beautiful, professionally written and very detailed, with more than 70 step-by-step photographs, suitable for crocheters of all levels, even for beginners. 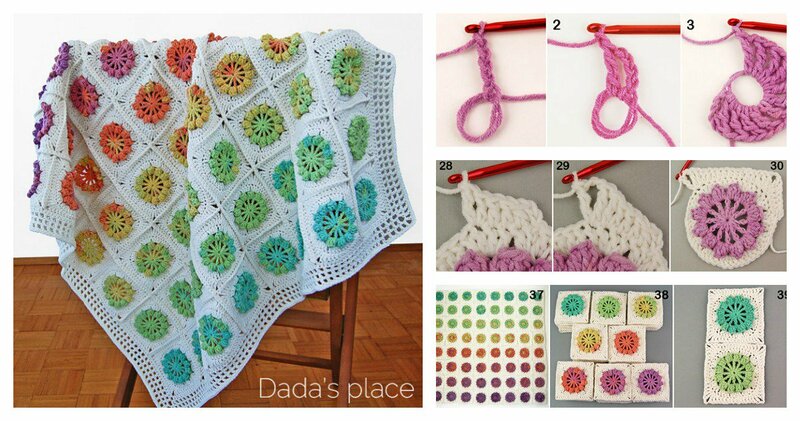 You will love these simple and beautiful floral motifs woven into a crocheted blanket. You can make an unexpected gift to any baby in your life. Because the floral hexagons are made separately and joined in, it’s a fun project that is great for when you are traveling but still wish to crochet. Pick your favorite of yarn and get started on a project that will have you dreaming of flowery fields. Have fun.